What do you do if you see a fellow nurse not washing her hands after a dressing change or not checking the MAR (Medication Administration Record) before administering routine medication to a patient? 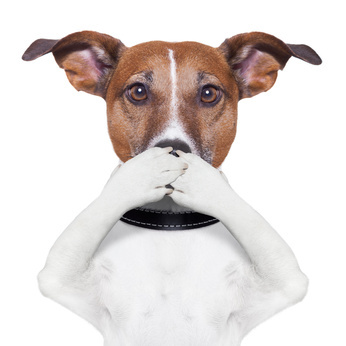 Speaking up about breaches in safety rules or other concerning issues can be a struggle of conscience. Staff nurses like to avoid conflict. This can be particularly true in a correctional setting where a punitive culture may pervade (See an earlier post on this topic). Nurses must be able to speak up on critical issues of patient safety. The HealthGrades Quality Study of 2004 estimates that each year one in twenty patients will receive a wrong medication, over 3 million will obtain an infection from unwashed hands and nearly 200,000 will die of a mistake while hospitalized. How many of these poor outcomes and deaths might have been avoided if someone had spoken up about what they observed? Maxwell et al. surveyed healthcare staff from a variety of professions and settings to determine the primary areas of concerning behaviors. Results indicate that many of us are witnessing team members cutting corners, breaking rules and being disrespectful but few are addressing these concerns. Surprisingly, the majority of those surveyed did not believe it was their responsibility to address these patient safety issues. The following seven areas of concern emerged as key issues we need to actively address. Broken Rules – Examples include standard safety rules such as checking doses or wearing gloves when drawing blood. Mistakes – Involve Incorrect judgments, poor assessments, or not getting help when needed. Lack of Support– Can include reluctance to help, impatient, refuse to answer questions, or a teammate who complains when asked to help out. Incompetence– Both doctors and nurses expressed concern about the competence of a few of their team members. Poor Teamwork-Gossiping and cliques are mentioned in this category. Disrespect– Examples include condescending, insulting, or rude comments. A small percentage of respondents also reported verbally abusive conduct such as yell, shout, swear, or name call. Micromanagement-This category includes abuse of authority such as pulling rank, threatening, bullying or forcing a point of view on others. How many of these concerns have you experienced in your correctional nursing practice? Although intervening in the face of any of the above situations is difficult, correctional nurses are called to protect their patient’s safety in every possible area. We must find ways to overcome our discomfort to advocate for our patients. Are you challenged to speak up when you see mistakes, incompetence, or disrespect? Share your experiences in the comments section of this post. This entry was posted in Patient Safety and tagged Conflict, correctional nursing, Essentials of Correctional Nursing, jail nurse, Lorry Schoenly, Patient safety, prison nurse. Bookmark the permalink.